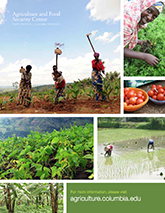 Underlining research and implementation activities are efforts to provide education, capacity strengthening, and professional development for students, faculty, scientists and practitioners engaged in work around agriculture and food systems. In addition to regularly providing seminars on relevant topics and supporting students to conduct research in Africa, the AgCenter is also deeply engaged in providing training to African students and professionals. An important aspect of this is developing working partnerships between US and African students and faculty who jointly develop research projects and courses. 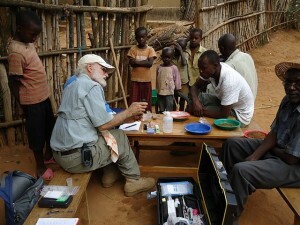 We engage in a range of education activities, including collaborating with other organizations in upgrading and transforming African graduate programs in soil science and agronomy, overseeing the Millennium Villages intern program, which includes research experience at Columbia as well as through field–based projects in the MV sites, and holding special symposia, lectures, and courses at Columbia University on key issues on agriculture and food systems. In 2012, we offered an undergraduate course in global food systems. For more information, see here.